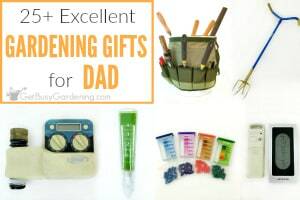 It can be really hard to find gifts for someone who loves plants, especially if you’re not a gardener. But don’t worry, I’ve got you covered! 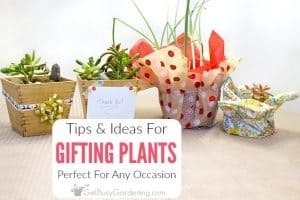 This list of indoor gardening gift ideas for houseplant lovers is packed full of wonderful items that any plant person will love. 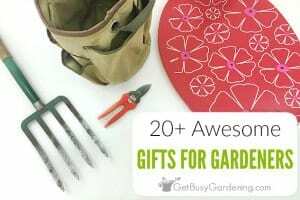 Whether it be for Christmas or the holidays, a birthday, a housewarming gift, or any other special occasion, you’ll find the perfect gifts for indoor gardeners here. 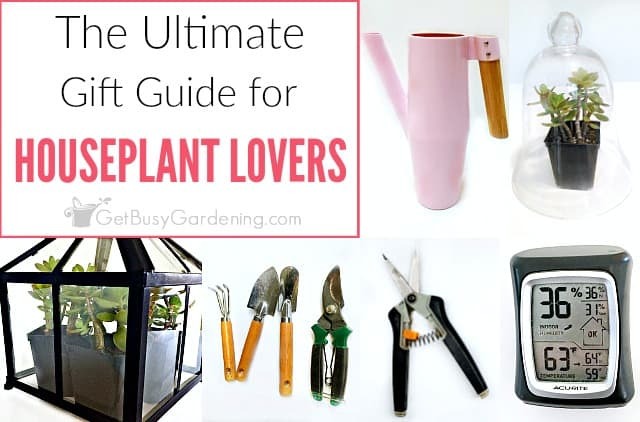 This list contains tons of fantastic indoor gardening products, tools, supplies and books that would make great gifts for indoor plant lovers. 1. 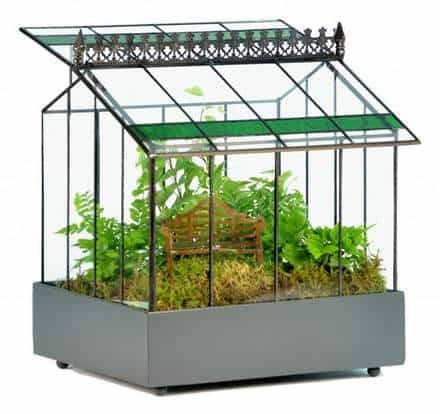 Glass Terrarium – This gorgeous terrarium is perfect indoor plant lovers gift. The whole top is removable for easy planting. The lid is hinged as well, to make misting and watering the plants inside a snap. Be sure to include a terrarium kit for an even more thoughtful gift! The kit has everything they need to get started, and includes planting instructions too. 2. 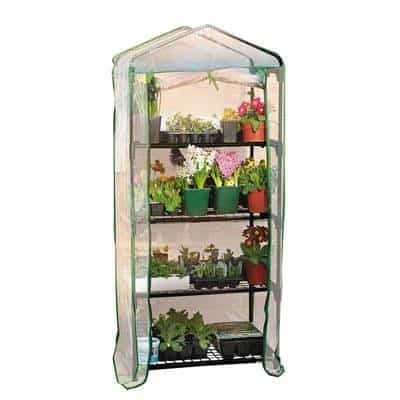 Four-Tier Mini Greenhouse – A small indoor greenhouse is the ideal gift for someone who loves to garden, but has minimal space to do so. It’s good for keeping plants heathy all year long, and also great for giving seedlings or small plants a jump on the growing season. They can hang grow lights under each shelf to give the plants plenty of light too! 3. 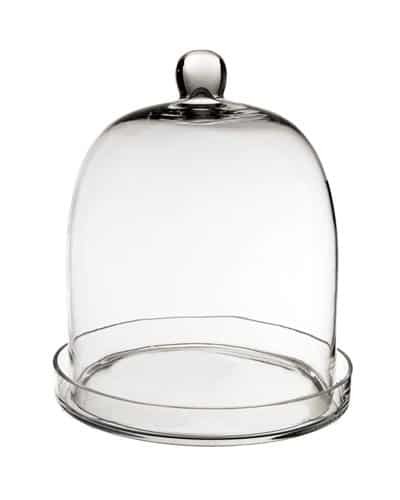 Glass Cloche With Base – This beautiful plant cloche is great for growing sensitive plants that need a lot of humidity. It also works to protect plants from curious pets. The base keeps water from spilling out, so it won’t damage furniture surfaces. I absolutely love the unique look it gives the indoor garden. 4. Fiskars Non-Stick Pruning Shears – An important part of keeping indoor plants healthy is pruning them, and new tools alway make great indoor gardening gifts. 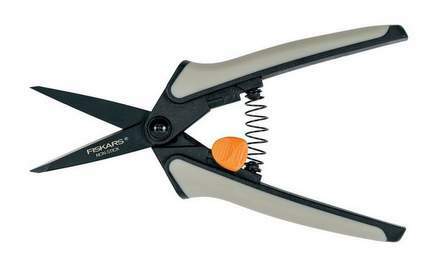 These micro tip-pruning snips will ensure the perfect precision cut. 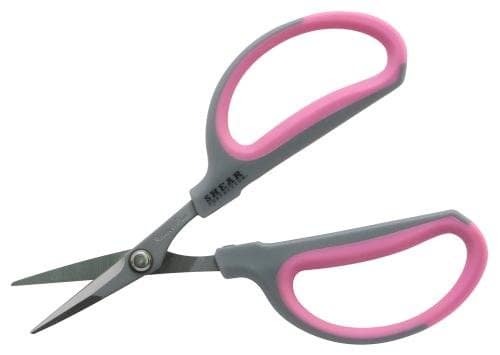 The easy action spring makes using these shears almost effortless. The blades are coated to help keep them from getting sticky, and are made to stay sharp. 5. 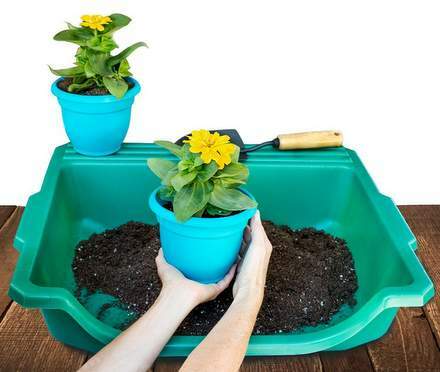 Table-Top Portable Potting Tray – Plant potting trays are helpful both indoors and outdoors. This table-top tray makes repotting houseplants a snap, keeps the mess contained, and makes cleanup a breeze too. It’s lightweight and portable, so they don’t need to haul heavy potted plants around, they can repot them anywhere. 6. 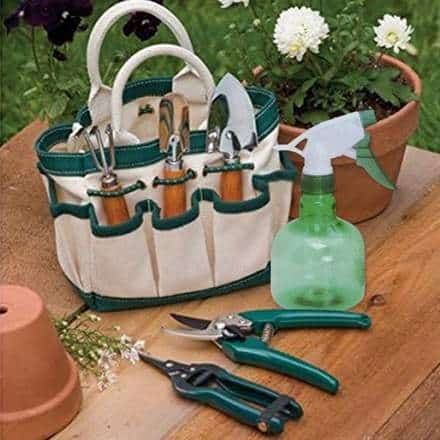 Indoor Garden Tool Kit – When it comes to indoor gardening, tools are pretty important. Using tools that are made for outdoor gardening on indoor plants is clunky and awkward. Mini garden tools are made for indoor gardening, and make perfect gifts for people who like houseplants. 7. Soil Moisture Gauge – Overwatering is the number one cause of death for houseplants. Getting the exact level of moisture can be difficult at times, especially for beginners. 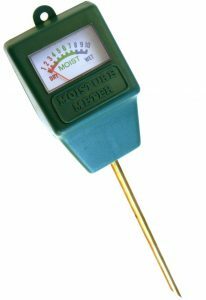 That’s where having an easy to read moisture meter like this one comes in handy. This gauge doesn’t require batteries, and it will show them exactly when it’s time to water a plant (and when it’s not!). 8. Bonsai Scissors – Whether your favorite houseplant lover is into bonsai or not, these super sharp shears would be a great present for them. The rubber handle makes pruning more comfortable, and keeps the scissors from slipping. The best part about these specific ones are that they can be used either left or right handed. 9. 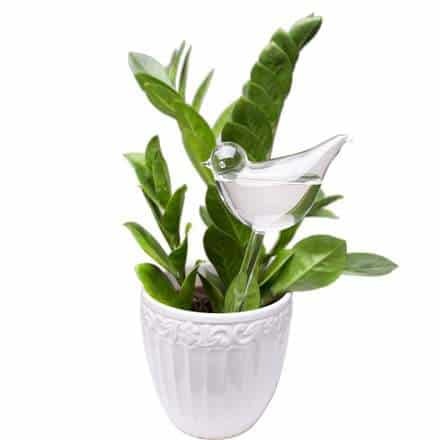 Collection Of Clean Air Indoor Plants – It has been proven that specific houseplants can improve indoor air quality, and filter the toxins out of the air around them. This set of 4 clean air plants come in four inch pots, and are great indoor plant gifts. The collection includes a parlor palm, a golden pothos, a mother in law’s tongue (aka snake plant), and a flowering peace lily. 10. Low Maintenance Houseplant Collection – What better indoor gardening gift ideas than more houseplants! 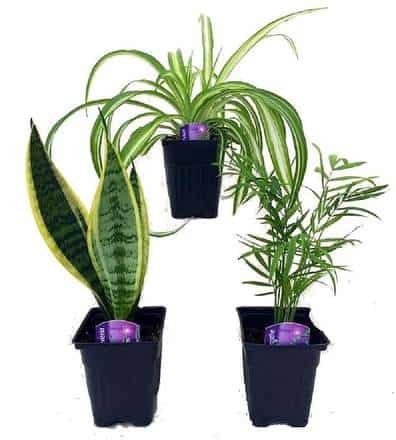 This set of 3 low maintenance plants includes a spider plant, a snake plant, and a parlor palm. 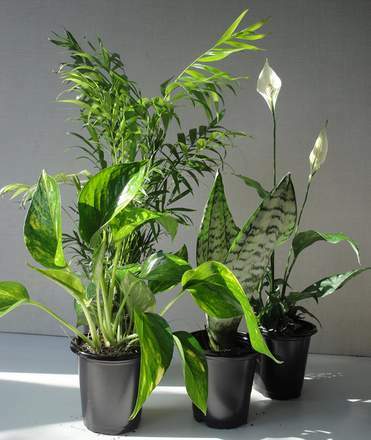 The plants comes in four inch pots, and make the perfect gift for any indoor plant lover. 11. Plant Watering Devices – Sometimes, watering plants can escape our minds. 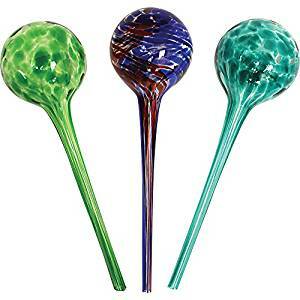 That’s why watering devices like these make great gifts for indoor gardeners. This way if they get busy or head out on a vacation, they don’t have to worry about their plants going unwatered. Plus, they are decorative so they look beautiful too! 12. 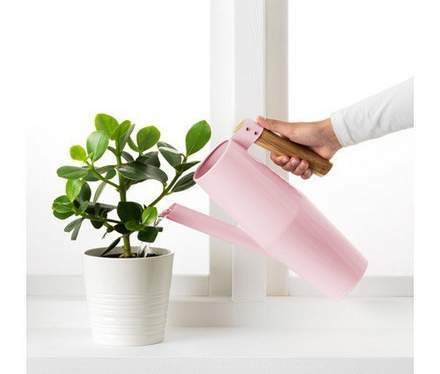 Ikea Watering Can – With a stainless steel body, a bamboo handle, and a polyester powder coating, this watering can is both adorable and practical. I personally love having a decorative watering can for my houseplants, it adds a bit more fun to things. Plus this one pours really nicely, preventing any accidental spills or dripping. 13. 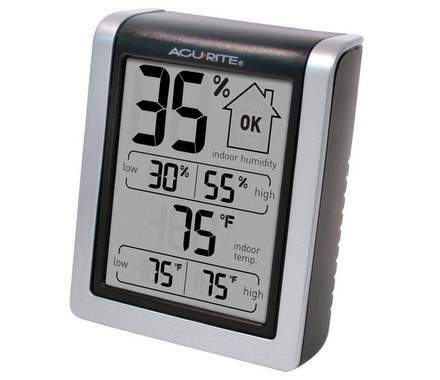 Indoor Humidity And Temperature Monitor – Some plants grow better at specific indoor temperatures, or with a certain level of humidity. This is where having an indoor humidity monitor comes in handy. This one monitors both humidity and temperature, and keeps track of the highs and lows for the day. 14. 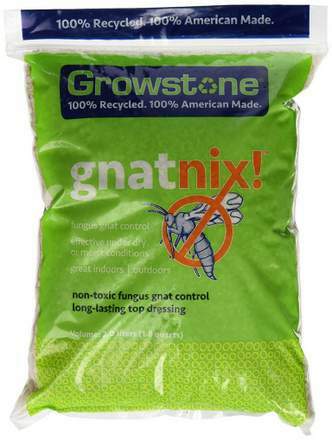 Gnatnix – One of the biggest frustrations that indoor gardeners face is dealing with fungus gnats. It’s a problem that every houseplant lover faces, and it can really drive a person crazy. Gnatnix is an all-natural soil cover that looks nice, and gets rid of gnats in houseplant soil. Give the plant lover in your life the gift of sanity this year! 15. Bird Shaped Watering Bulb – This super cute watering bulb makes plants self-watering. Depending on the plant (and their soil), each bulb holds enough to water plants for up to two weeks. The translucent design makes it easy to see when the watering globe is due to be refilled too. 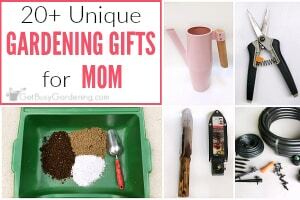 Such cute and practical indoor garden gifts! Add your indoor gardening gift ideas for plant lovers in the comments section below!